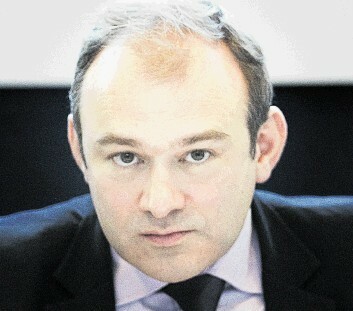 Ed Davey, Energy and Climate Change Secretary (and Lib Dem MP), made an Annual Energy statement to Parliament at the end of November. He then submitted a new Energy Bill, published a gas generation strategy and most recently made a statement on exploration for shale gas. Davey even found time to cross the border and speak at a renewable energy conference in Edinburgh. Both governments are clearly very committed to the growth of renewable energy, particularly wind. However, the most interesting aspect of the latest policy announcements concerns the role of gas. The gas industry has a much lower profile than others such as oil and renewables but it is much more important than most people understand. 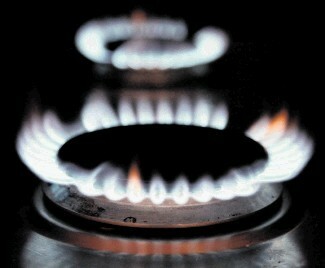 Gas accounts for the largest share of energy consumption in Scotland and the rest of the UK. In 2011 gas had a 36.4% share of primary energy consumption, oil 36.1%, coal 15.5%, nuclear 7.9%, hydro 0.7% and other renewables 3.3%. Gas is used for both domestic heating and cooking, and for electricity generation; oil virtually entirely for transport; and other energy sources mainly for electricity generation. Much of the ongoing energy policy debate in Scotland and wider UK as a whole is dominated by electricity, which I believe can be very misleading. Power accounts for about half of total energy consumption but seems to account for about 95% of the policy discussions. I have also long argued that much more attention needs to be given to demand side issues, as well as electricity supply. In particular, energy efficiency measures could significantly reduce demand, as the Scandinavian countries and Germany demonstrate. Nevertheless, the current debate is dominated by the so-called dash for gas. UK electricity supply and demand are currently generally in balance. However, many older power stations are being phased out and must be replaced. But construction-led times are long and there seems to be general consensus that work on some stations needs to begin immediately. The electricity supply industry has been very reluctant to invest in new capacity with the notable exception of onshore windfarms for which subsidies are generous, particularly in Scotland. Regulator Ofgem has failed miserably to encourage such investment . . . both in generating and transmission capacity, despite having the powers to do that. There are three main choices for new generating capacity: renewables, nuclear and gas. Oil is ruled out for price reasons and coal for environmental ones. Renewables, particularly onshore and offshore wind, will undoubtedly account for a large share, given the stated policies of both Governments. However, wind-based generation is variable so there is therefore a need to invest in additional capacity for both peak and base load demand, and to provide the required flexibility. The current UK Government remains committed to building new nuclear power stations, but not in Scotland because of opposition from the SNP Government. However, as recently announced, the operational permit of Hunterston nuclear power station will be extended to 2023 and the B reactor is expected to continue generating for at least another seven years. There can be little doubt therefore that new gas-fired power stations are required, particularly in England. DECC’s latest estimates show a requirement for at least 26GW (gigawatts) of new gas plant by 2030 and more if there are lower load factors. 15GW currently have consent. However, since the private sector has been very reluctant to invest, the main aim of the Gas Generation Strategy is to reduce uncertainty. The proposals include a complex mixture of Contracts for Difference, a Capacity Market and Levy Control Framework. I have studied the strategy and the other documents in detail but will need to read them several times over to understand fully how they might work. I have doubts but the proof will be in the actual working and it will be many years before we have that evidence.